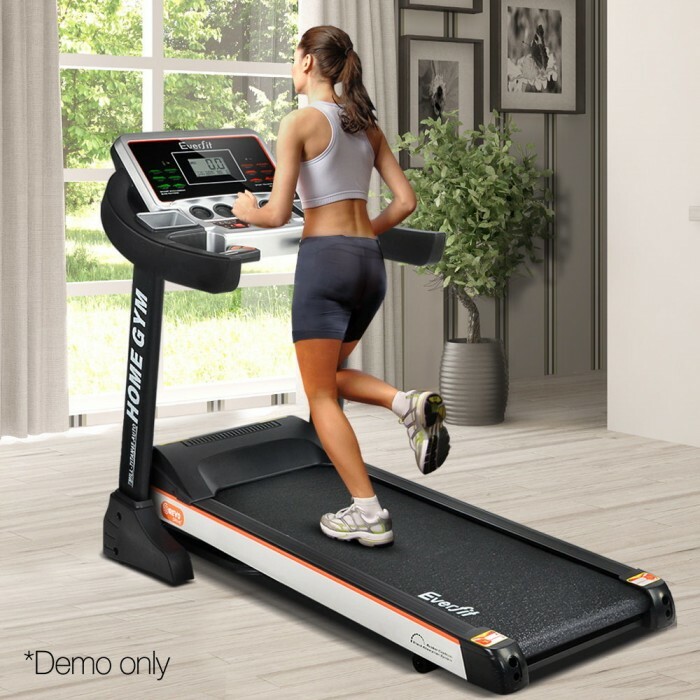 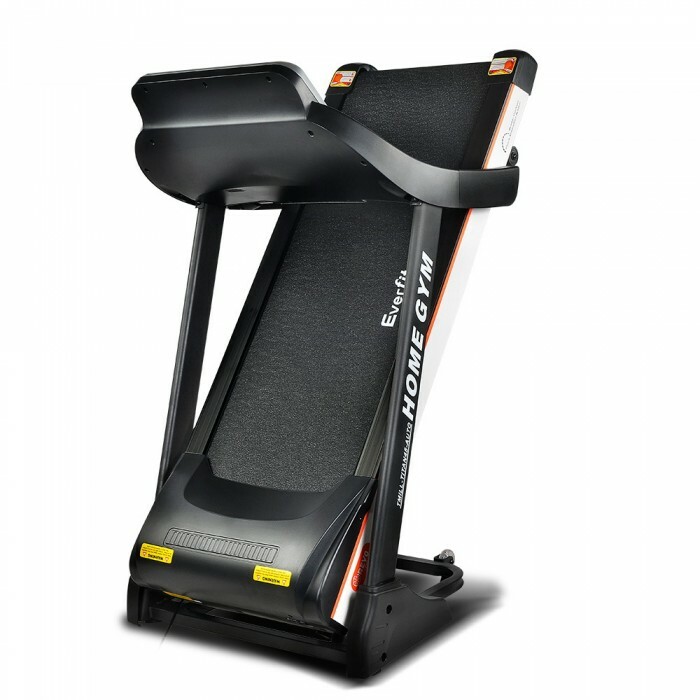 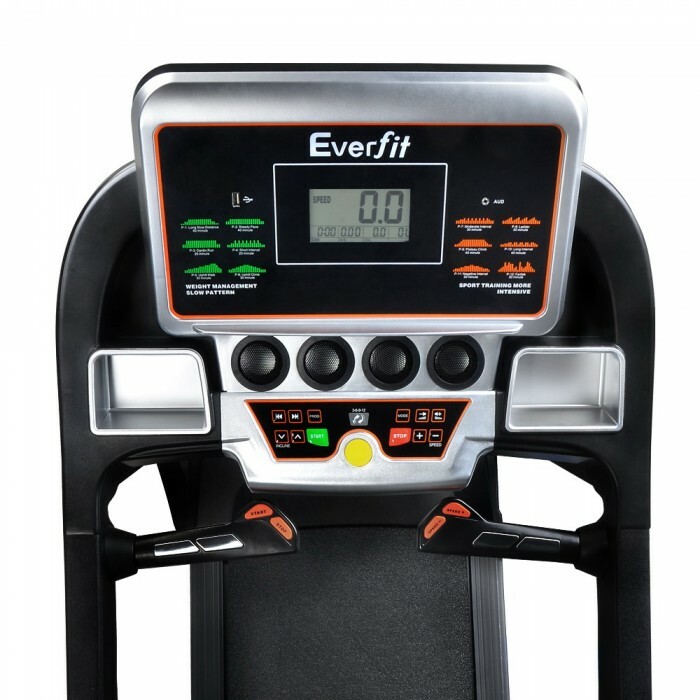 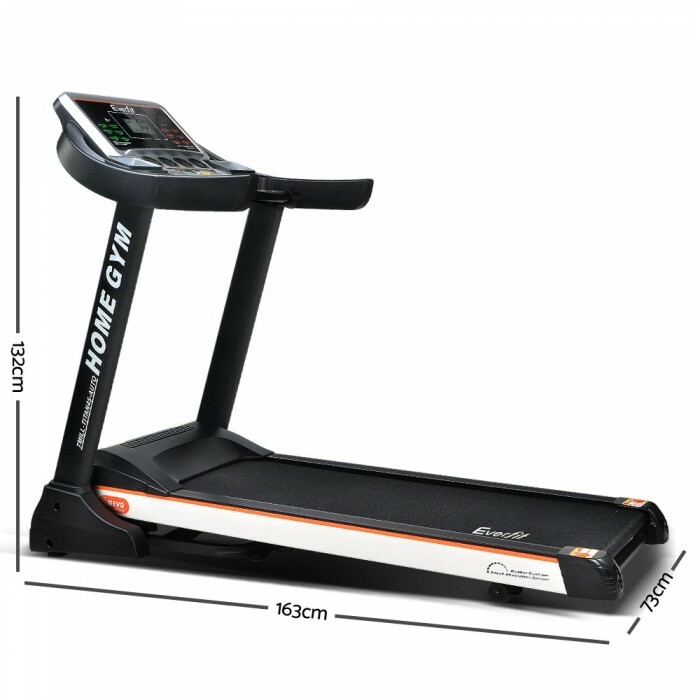 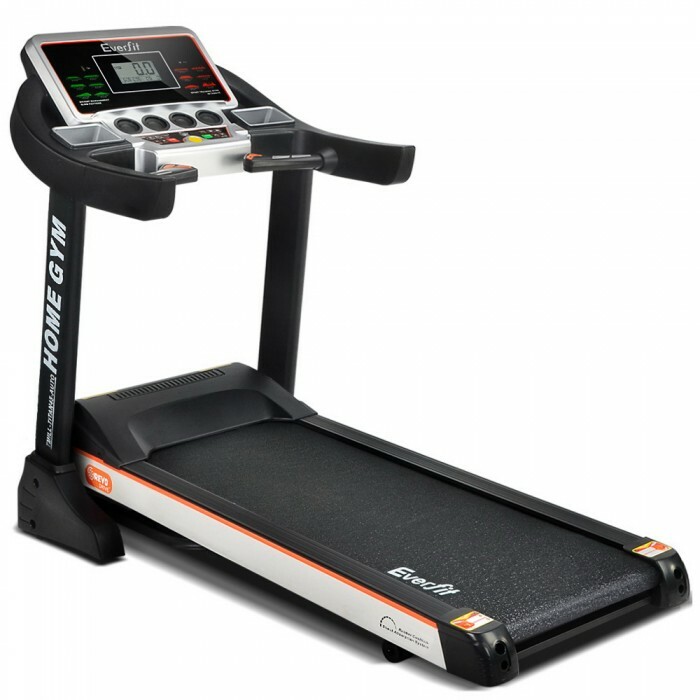 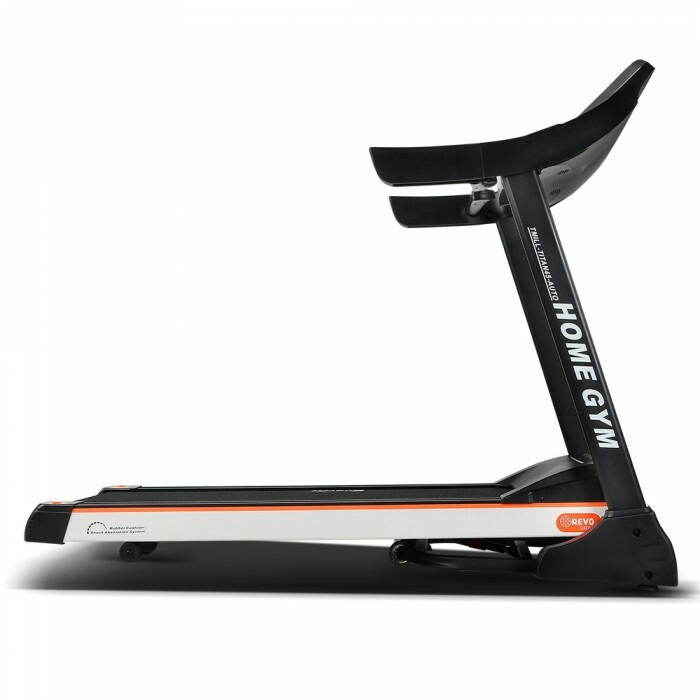 Our electric treadmill features 12 pre-set training programs and 18 speed levels, with speeds ranging from 0.8kmh to 18kmh. 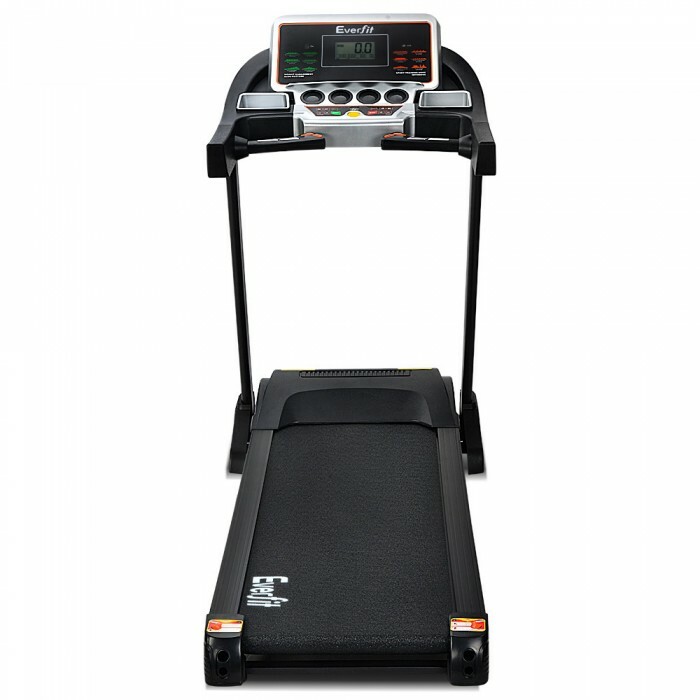 It also has accurate pulse sensors and other monitoring parameters to track running status and health. 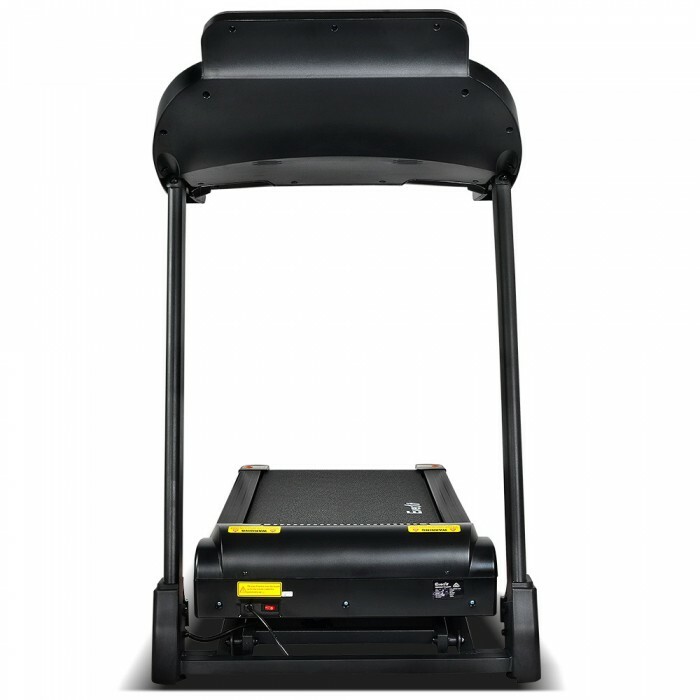 Its 2.5hp linear drive motor produces smooth operation. 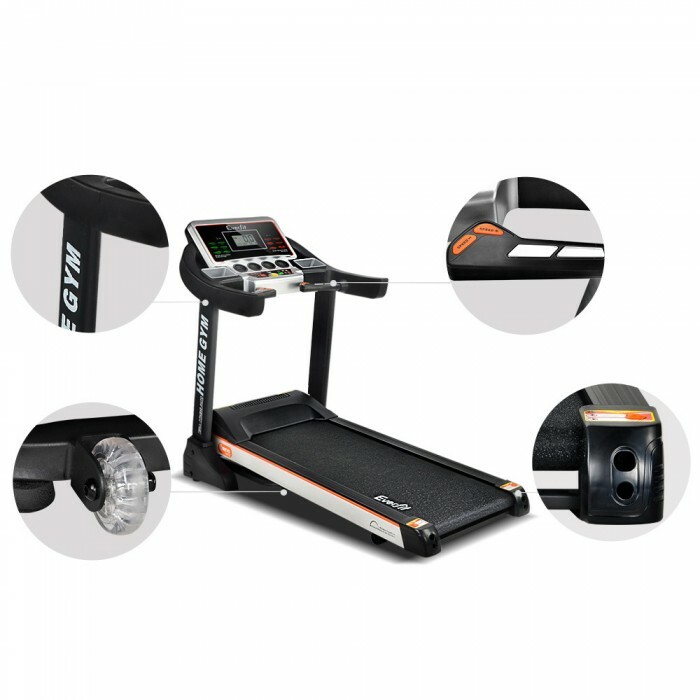 Other features include a 15-level auto inclination adjustment, double shock absorption system, safety tether key, anti-slip belt, soft-grip handle, dual drink holders, tablet holder, USB and MP3 inputs and smooth wheels. 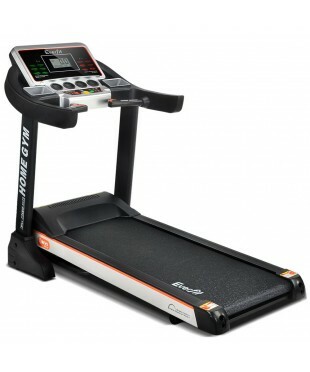 It can be folded for storage.